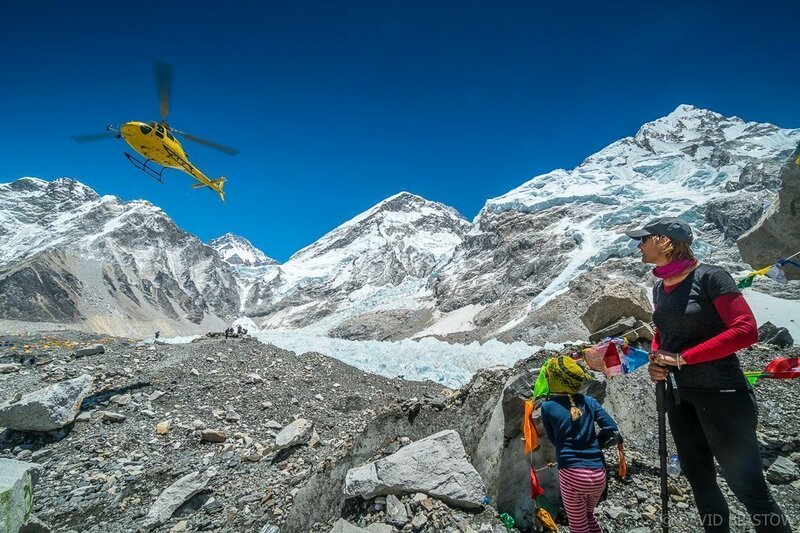 Meet our gusty six-year-old daughter Maya Bristow who in May 2018, walked herself into the record books as the youngest Australian to trek independently to Nepal’s Everest Base Camp. 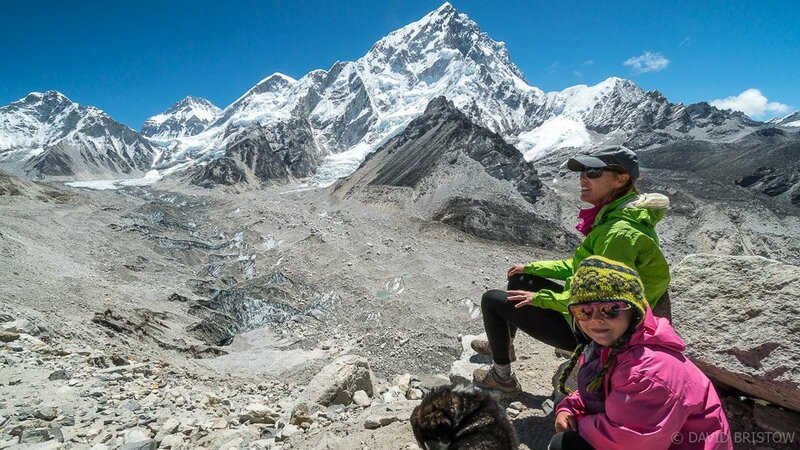 Our pint-sized adventurer from Cairns, Australia, reached the foot of the world’s highest peak on 21st May after trekking for a solid 14 days through Nepal’s Solu Khumbu region from Phaplu to Everest (and another five days back again). 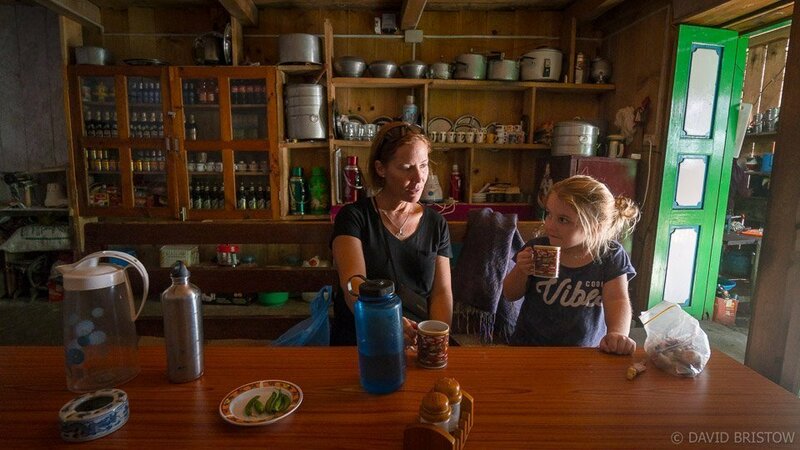 As her parents we can confirm that there were no shoulder rides and no porters or guides leading the way, just lots of independent, happy walking (and skipping) and plenty of milk tea stops en route. Not surprisingly, given the difficult terrain and gradient of the Everest Base Camp trek, hundreds of the Nepali guides, porters and foreign trekkers who passed us by stopped to tell Maya what an inspiration she was, and I agree! Maya was unstoppable from start to finish, and although she did have some reservations about plodding through an excess of donkey poo on the muddy, lowland trails below Namche, she really came into her own once we trekked higher into the mountains. At an altitude of 5380 metres, reaching Everest Base Camp is a big deal for trekkers of any age, but we had no reservations about trekking with Maya, confident in her ability and our loose itinerary that allowed for extra acclimatisation days should any of us need them. Our planning and pace paid off and we all made it to base camp without the sickness and overwhelming fatigue that thwarts so many bucket list trips. What really surprised us on this adventure was the lack of kids tackling this trek in their own two boots. That might explain why Maya became just a bit of a celebrity on the trails. 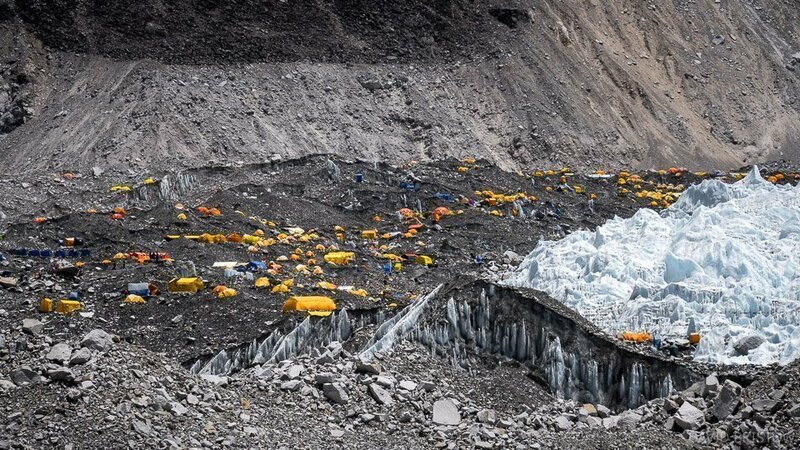 To be fair, the Everest Base Camp trek is not easy and the need to acclimatise to a height of 5380 metres compounds the rigours of one of the Himalaya’s most challenging trails. However, seeing Maya smiling and enjoying herself gave other walkers such a boost and kept her smiling too. Several trekkers told her that she was the only reason they didn’t give up. If our ambitions sound bold, rest assured that we didn’t just jump into this toughy though. Before Everest, Maya had already tackled two successful Himalayan treks: 19 days walking the western and southern sections of the Annapurna Circuit aged 4 ½ years old, and in May this year, a tougher, seven-day wilderness trek to Mardi Himal Base Camp, also in Nepal’s Annapurna region. With those challenges behind us, we believed that EBC was possible, and worth giving a go. We were well equipped with quality footwear, down jackets and sleeping bags, wind-proof shells, first aid kit, UV water steriliser (my fave gadget), and an excess of snacks. We were familiar with the route, knew the obstacles and decided to start our trek in the relative lowlands of Phaplu rather than flying into Lukla to stimulate our fitness and acclimatisation with some high passes before we reached Namche at 3420 metres. 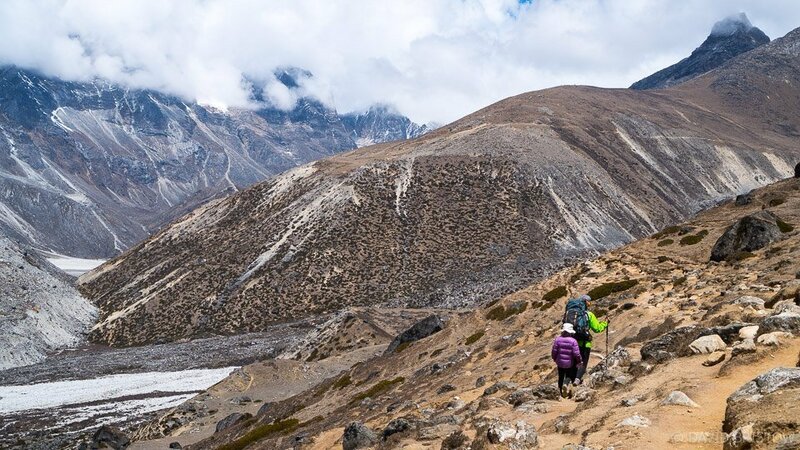 Famous the world over, there are a lot of reasons why this definitive Himalayan trek rates as one of the most challenging and appealing in Nepal. For some, it’s the only Himalayan trek they will ever tackle, because despite the physical hardships, the crowds and the inflated prices along the way, the popularity of Everest’s enigmatic snow-capped peaks and stark grey rock summit fail to diminish. Put simply, Everest is spellbinding and far more than a mountain; encased with captivating storytelling of daring-do and ill-fated exploits that go back a hundred years and continue to absorb me today. Even after three Everest trips in 20 years, I was rearing to go one more time. 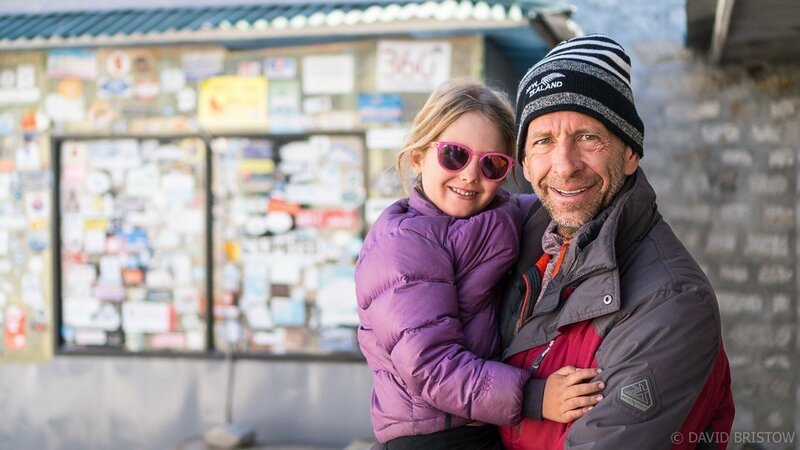 The appeal for us this time around was doing it as a family, and since David and I were due to be in the mountains to report on the 2018 Tenzing Hillary Everest Marathon, we decided to tackle the trek together. Our journey began from Phaplu, a bustling end-of-the-road village six days walk south of Namche Bazaar. After reaching Namche we spent two nights acclimatising before hiking another seven days to base camp. From Namche, our route climbed to Tengboche monastery, nestled in the mist, and followed the Dudh Kosi (Milk River) for hot tea with chanting nuns at Debuche before we pushed on, 300 metres in altitude a day, to bed down in trekker villages at Pheriche, Dingboche, Thukla and Lobuche – all custom-built to service fifty years of mountain trekkers. At Gorak Shep we stashed our packs and made one final push to Everest Base Camp, following a sunny ridgeline under a big blue sky to where steep peaks squeeze trekkers onto the Khumbu Glacier to poke around mountaineering camps and marvel at the twisting mass of blue ice, sculptured by hot May days into icicle-fringed pillars and deep, endless chasms. After jumping around Everest Base Camp, watching climbers approach the icefall and helicopters whisking fallen summiteers away, we headed back to Gorak Shep to begin the five day return journey to that faraway land full of hot showers and fresh laundry, bakery treats and cold beer that we call Kathmandu. Your planning and execution .of all the necessary care that is of primary consideration when in such a stunning but deadly area of our planet brings you great credit. We are SO proud of your exploits and our thoughts of our gorgeous little chum are really beyond my descriptive powers.FANTASTIC. We love you guys so very much. Ciao e back touti.E&K. Wow Maya I knew you were pretty special when I met you at the Mardi Himal highcamp.. I didn’t realise you were on your way to conquer Everest too! Way to go, girl! Congratulation to her and you all family ! Thanks Hari, it was an excellent adventure! A fantastic achievement but to claim she was independent is stretching things a little as you accompanied in here and were acting as her “guide and porter”? Actually we were acting as her ‘Mum and Dad’. Ever helped your kids achieve Keiran? Maya walked for 17 days mustering the mental and physical and emotional strength to complete a trek that anybody will tell you is a real challenge. And FYI, since you have perhaps not done this yourself, the overwhelming majority of adults who trek to Everest Base Camp, do so unemcumbered, as Maya was, by backpacks and with guides to point the way. Would you have felt better seeing her carrying her own sleeping bag at 6 years old? 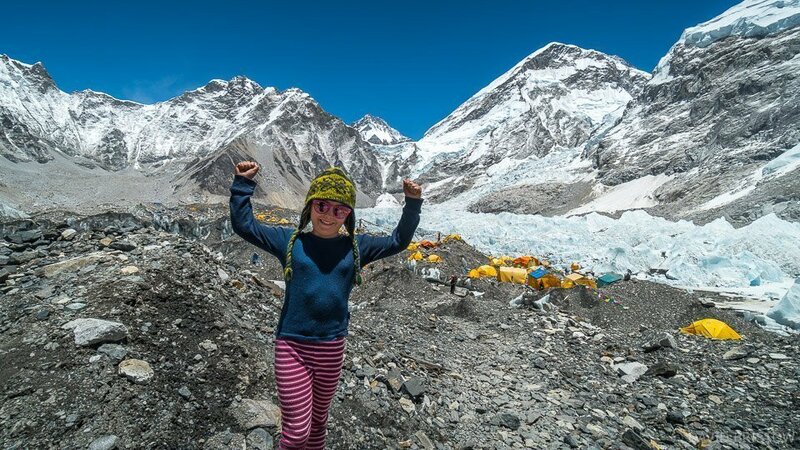 Maya got to Everest Base Camp under her own steam, and we think that’s an accomplishment worth celebrating! Her glass is definitely half full, hope yours can be too. It was great to meet you too! I will let you know when the article goes to print in Outdoor mag, should be a good read!